Why choose Sante Property Damage Reconstruction? We are a professional damage repair service. Insured and licensed, we offer emergency 24/7 service to Mansfield, CT. Our trained technicians are available to handle fire damage, flooding and water disasters, mold growth and more. No matter what property damage you are dealing with, we can help. 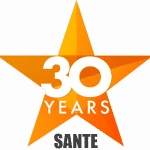 Sante has over three decades of experience completely reconstructing damage to commercial properties and homes. We take pride in our work and our results. We work with insurance companies to provide disaster claims assistance. Our expert customer service knows how overwhelming property damage can be. Sante’s teams will give you the lasting peace of mind that comes with hiring a professional property damage repair service. We protect our clients from start to finish. Do you have questions? Call us today to find out how we can create a personalized free estimate for your disaster reconstruction. Are you in the middle of a property damage disaster? Call us now! Whether mold growth, water damage or fire damage has impacted your property, we have licensed experts available. Sante Property Damage Reconstruction is a professional solution and fully licensed. With our 30 years of experience, we can completely reconstruct damaged properties. Do you have commercial property damage? We do that, too. Our trained technicians have access to the latest equipment for the best craftsmanship and costs. Sante is available to help with disaster insurance claims and documentation. Put your property damage reconstruction in good hands with our fast and friendly service! Professional fire damage reconstruction is just a phone call away! Trained in fire disasters, we are experts in our field. We stop the spread of smoke and soot damage, emergency water flooding, and contain the area. Our fire reconstruction is a comprehensive solution that is with clients from start to finish. Are you in a fire damage repair emergency? Sante Property Damage Reconstruction offers 24/7 service to the Mansfield area. We can get to you fast to halt damage and reduce costs. Count on our compassionate customer service and call us anytime, day or night for professional fire damage reconstruction. Invasive and destructive, water damage spreads fast. If you need water damage or flooding repairs, call us now. The sooner you act, the better for your budget. 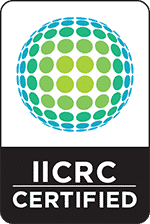 Our professional water damage reconstruction is licensed and insured. We completely reconstruct the impacted area, sanitizing and eliminating humidity issues. If mold is a concern, we address that quickly to stop potential health issues. Whether from natural flooding or compromised pipes and plumbing, we eliminate water damage quickly with quality workmanship. You will never regret working with a professional water damage reconstruction company. Serving Mansfield for over three decades, we are your mold elimination experts. Our mold services fully reconstruct mold damaged homes and businesses. Trained technicians know how to contain the area and prevent the spread of hazardous spores. Solving the problem at the source, our mold damage reconstruction is a comprehensive solution to a dangerous issue. Protect your health and property with professional mold elimination services. Free estimates are available to commercial and residential clients! From downed trees to ice dams, we have seen more than 30 years of storms in the Mansfield area. Our expert storm damage repairs address every issue from start to finish. Do you need emergency board up services? We can secure properties against theft and vandalism. Sante Property Damage Reconstruction is licensed and insured for your peace of mind. If storm damage has impacted your home or business, we are available 24/7 to get to you quickly. Whether your storm damage reconstruction needs are large or small, we can halt the destruction to save you time and money down the road. Sante Property Damage Reconstruction specializes in commercial buildings and spaces. Offering free estimates and licensed service, we are fully insured. You can put your trust in our professionalism and friendly teams. If you need commercial property damage reconstruction or repairs, we can help. Sante provides 24 hour a day, seven day a week service. If you are in a property damage disaster, we can stabilize and secure your commercial structure or business. We work with your insurance to keep costs and stress down. Don’t hesitate to call us for comprehensive commercial property damage repairs. Our creative, smart solutions for general contracting cover the labor, materials, and equipment. Comprehensive and stress free, Sante Property Damage Reconstruction’s services are licensed. Our trained general contractors are insured and top rated. Whether you have a home or a business, we can handle it. Always providing our clients with free estimates, we create intelligent project plans tailored to your unique needs. We have proudly offered Mansfield general contracting services for over 30 years! We care about the Mansfield, CT community! Our property damage repair services cover fire damage, storms and flooding, mold elimination, and general contracting. Sante Property Damage Reconstruction offers free estimates with 30 years of experience. Dedicated to craftsmanship, our fast and friendly service works with insurance companies for claims assistance. Call us anytime to create a personalized property damage solution for any problem! Does your Mansfield Home or Business have Damage?